The SM@RTCORE® Lite optical cables consist of a single filled loose tube containing up to 12 individually coloured optical fibres. The tube is centrally positioned and surrounded with high absorption performance water swellable yarns for water blocking. 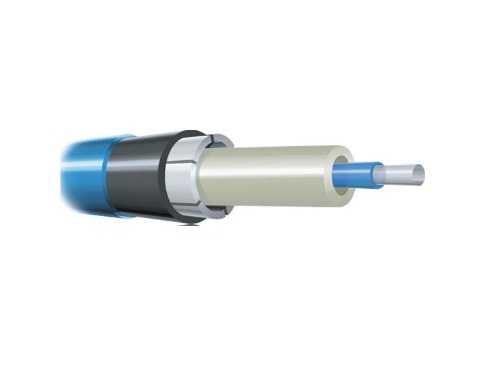 The cable is sheathed with polyethylene and jacketed with integrally bonded UV stabilised nylon. The nylon jacket acts as a protective layer against termites and ants. The sheath is UV stabilised Low Smoke Zero Halogen (LS0H), low smoke and fume thermoplastic in compliance with AS 1049.